Living with health conditions such as high blood pressure can affect so many aspects of your life. It can affect your ability to engage in activities as well as severely affect the way you feel on a daily basis. It can also seriously affect the foods that you should eat, as your diet is often just as important as doctors’ appointments and medication. As with any diet, meal planning is the key to success. A successful meal plan can help you follow many of the strict guidelines that certain diets require. 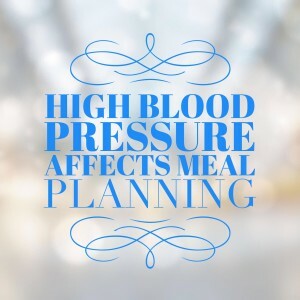 It is for this reason that meal planning for healthy diets to help control high blood pressure and other health conditions is especially important. Each health condition will have its own perimeters that need to be followed in the meal planning. A high blood pressure diet is no exception, and there are factors to consider. There are certain foods and ingredients that should be avoided when you have high blood pressure. Sodium is one example of something that should be avoided or seriously decreased. This is because sodium intake can raise your blood pressure and contribute to uncomfortable and potentially dangerous swelling. Other things to avoid are foods that are high in fat, and also alcohol. These foods can adversely affect your health, and therefore your meal plan should focus on avoiding or severely decreasing them. Just as there are foods and ingredients that need to be avoided, there are also items that should be included in your new diet and meal plan. These include calcium, potassium, and magnesium. The foods that you will want to eat to get in these important ingredients are fresh fruits and vegetables, lean proteins like fish, and low fat dairy products. These foods should make up most of your diet, supplemented by whole grains and healthy fats such as small amounts of olive oil, nuts, and avocados. The key to great meal planning is preparation and shopping right. Preparation includes doing your research to pull together an idea of what meals you want to eat each day, and making a list of the healthy ingredients you plan to use. The concept of “shopping right” comes down to where you shop and the parts of the grocery store you frequent. Farmers markets and stores that have great produce and organic sections are the best places to shop, when and if they are available. The sections of the stores that you should frequent are typically around the perimeter of the store, such as the produce section. The majority of the dangerous, processed foods to be avoided are typically located in the aisles. Meal planning is one of the best ways to successfully incorporate a healthy diet into your lifestyle. Living with health conditions such as high blood pressure can make these changes even more important, as your diet greatly affects your overall health. 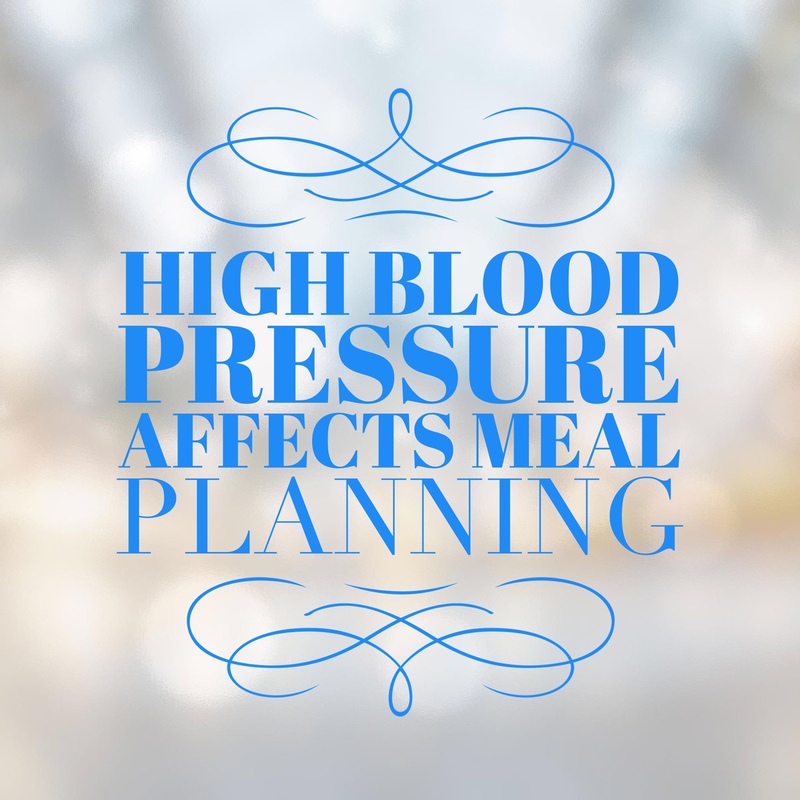 If you pay attention to these important factors for high blood pressure, you can build a healthy and successful meal plan. For other blood pressure blogs, click here.